One of the many benefits of a community garden is…community! The most interesting people can become friends, and relationships that help facilitate learning and growth can enter into the everyday things that make life wonderfully abundant. 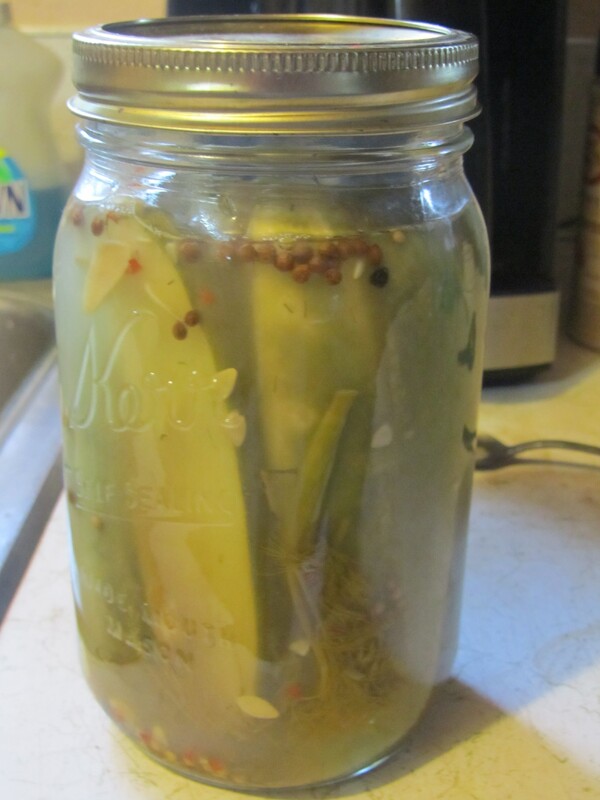 An example of this is: the other day, when I was visiting one of my new found friends, she suggested that we try one of her pickles from a jar she had been fermenting on her kitchen counter for a couple of days. Now, I have been curious about fermentation, and tried my hand with some kefir curds but those soon became so plentiful I had to stop for lack of people to share them with. Anyone who has harvested kefir curds knows this dilemma. I have also heard about the digestive benefits of fermented foods for years, but the only thing that came to mind was Kim Chi, which was not at all interesting to me-so I just never investigated any further than that. But, I had tried this friend’s fermented string beans a few months back, and enjoyed it, so I thought it would be safe and possibly satisfying. Lo and behold the fermented cucumber I tried was the single best pickle I have ever eaten in my life! It was unmistakably a dill pickle, but it had a flavor that rocketed beyond mere dill. Being a novice at spice experimentation I wasn’t sure what was in the brine, but my palette had never been happier. A word about fermentation and its history: Fermenting happens naturally and pre-dates humanity, however humans took control of the fermentation process and have been using this method from as far back as 7000 BCE . In short, fermentation is the process of converting carbohydrates or sugars into alcohols and carbon dioxides using yeasts and/or bacteria under anaerobic (without oxygen) conditions. This process is employed in the making of wine and beer, or for foods like yogurt and sauerkraut. The science of fermentation is known as zymology. Fermentation is also what happens during the pickling process however, with the common techniques of canning the fermentation process is ceased when the jars are boiled and sealed. With straight fermentation the process is halted when the jar is places below 55 degrees Fahrenheit. The jars are not subjected to heat or pressure, which allows the lactobacilli to remain in tact and give our digestive systems the some of the healthy enzymes it needs to function properly. 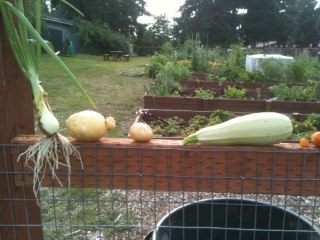 Posted on August 18, 2013 Author Sustainable RentonCategories Community Farm, Community Gardens, Local Food SystemTags Community Farm, Community Gardens, Gardening, Recipes2 Comments on Fermentation! 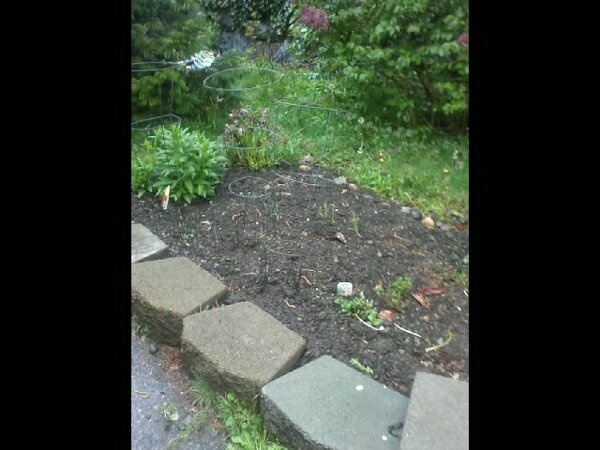 This Mini garden is all of 3’x3′ at the unused end of our dead end street. My neighbors (Ashley, 4 and Daisy, 8) and I planted tomato, zuchini, and corn seeds last week. Cleaning the weeds out of our space prior to planting could never be described as a work party. There was too much distraction and exploration. Look, I found an earthworm!. Look, a roly poly! What is this? Why is that? Once the seeds were in the ground, every few hours, inpatient eyes were looking for sprouts. Children have a completely different experience of the passage of time. Finally, knowing that radish seeds sprout much very quickly, I bought some. Daisy and I planted them yesterday. Until they sprout, Daisy and Ashley are being satisfied by watching the apple blossoms turn from buds to open flowers.